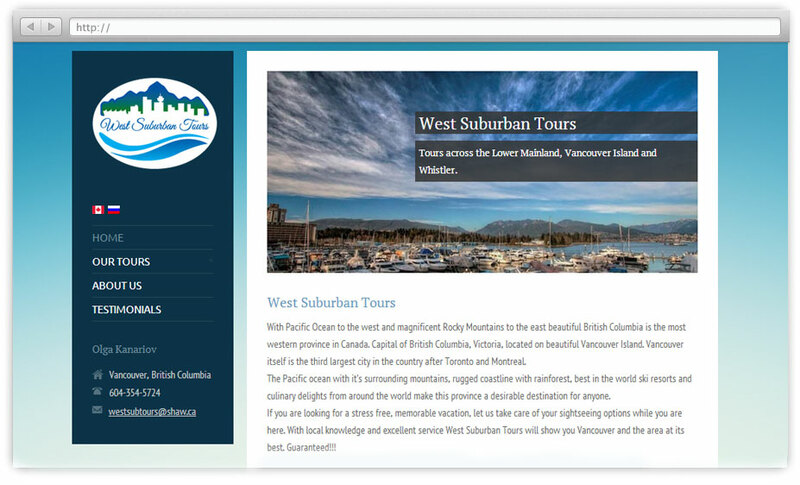 Katrina’s Design has partnered with West Suburban Tours for wordpress design project. Multilingual wordpress website. West Suburban Tours – Tours across the Lower Mainland, Vancouver Island and Whistler offered in English and Russian.